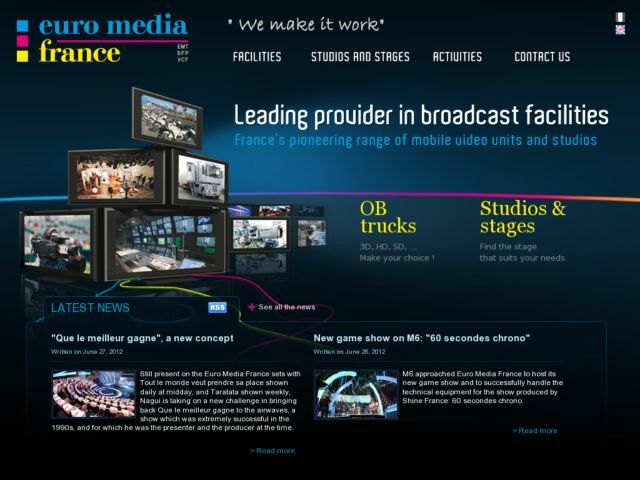 Euro Media Group is Europe’s leading provider of TV [HTML_REMOVED] Film facilities and services. This project, carried out with Django CMS, includes content pages in two languages (English and French), as well as several catalogs allowing to check out all the infrastructures offered by the company, that is to say their OBtrucks, studios and stages. Two comparators were implemented on the catalogs to compare the trucks and stages. The user can therefore easily compare up to 3 elements thanks to a general view displaying all the features of each of them. The website also includes a news engine called Zinnia.